It's the first #mealplanningmonday of February. How on earth did that happen?! 2013 is really flying past. Its Chinese New Year on Saturday and I decided to celebrate the year of the Snake by cooking from my Gok Cooks Chinese Cookbook. I thoroughly enjoyed the accompanying TV series and rushed to buy the book but shamefully have only actually cooked one recipe from it. Please confess if you also have recipe books which you've cooked little or nothing from. It will make me feel better. First up a quick report back on last weeks meal plan. Loved my thrown together seafood risotto. The addition of pan fried scallops at the last minute really lifted the dish to another level. The sweetcorn fritters to accompany the Arbroath Smokie Croquettes were as good as we remembered. Must not leave it so long next time before making them. Slow Cooked Lamb Shanks were totally melt in the mouth. Perfect comfort food. As promised I'm sharing the recipe for our family favourite of Orange and Lemon Chicken. Mix together the lemon zest and juice, 2 tablespoons of the marmalade, and the juice of one of the oranges. Cut the remaining orange into wedges and do the same with the red onions. Make two slashes in each chicken thigh and slip in a sprig of thyme. Put the chicken into a large ovenproof dish and nestle the orange and onion wedges in between. Pour over the juice mixture, spoon the remaining marmalade on top of each chicken thigh and season the whole dish with salt and pepper. Cook at 200 degrees for 35 minutes. Ten minutes before the chicken is ready make up the cous cous with 250ml of water and a chicken stock cube. Before serving mix half of the juices through the cous cous along with a handful of thyme leaves. I normally get my weekly shop delivered on a Sunday night but due to a hectic weekend I didn't get round to ordering in time so we are only starting our Chinese inspired week on Tuesday. after the shopping arrives. School is then off from Friday through to Wednesday so the plans may go completely out the window. This is the only dish I have previously made from the book. I'm going to serve it with the suggested Spicy Cucumber and Spring Onion Salad. I'll be calming the spice down so the kids can eat this. Love Cashew nuts in food. According to Gok this is quite simply one of the best things you will ever put in your mouth. Time will tell. 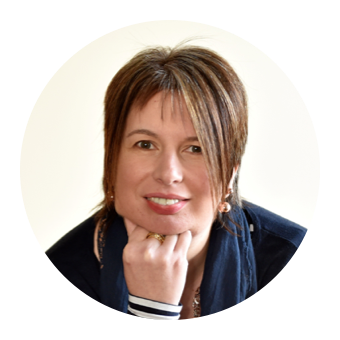 Foodie Loon is off to Murrayfield for the Scotland v Italy Rugby International today so it will just be the three of us. Perfect Saturday night in front of the TV food. Will add chicken to Goks recipe and serve up with prawn crackers, fortune cookies and Tsingtao beer. A couple of link ups for this post. 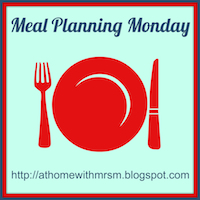 As always Mrs M's Meal Planning Monday which broke records again last week with 48 taking part. My Orange and Lemon Chicken would be a perfect way of using up any of last years marmalade if you have been making a new batch. 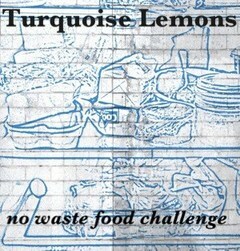 As such I'm submitting it to the No Waste Food Challenge on Turquoise Lemons for which February's theme is Preserves. I am very tempted to buy Gok's book. I have made the Ginger Beef and and it was delicious. I received Gok's book for Christmas but only bought myself a wok 2 weeks ago so haven't used the book yet. Must get round to it soon. Your week sounds delicious. Lots of great meals ahead for you, the duck sounds amazing ! I've many cook books I've not cooked from yet too - you aren't alone! I have so many recipe books I've never used too...You're not alone :) Your meal plan sounds great!! I thought about getting his book as I have made a couple of things that were on the website and they are good. I have a couple of books I have not made a lot from, mostly my fault as I got them before realising they were fish heavy. The pork does sound amazing. I will be watching to see if it is as good as he says. | tend to cook the same things over and over again - some new ones this week though! I hope Scotland wins, we're at a rugby watching/ kid sleepover on Saturday to hopefully see Wales beat France!! I've actually just realised that I have already made another dish from the book. Honey Glazed Char Siu Pork. But it wasnt great - very dry. Fingers crossed for the twice cooked pork. I've made the Simple Soy Glazed Chicken twice and it is really good. Glad that I'm not alone in having books that have never been cooked from. I've got lots of books I've never used - I've been having a clear out and the charity shop is going to benefit from some of them, but some of the others I use for reference or inspiration and don't really plan to cook from. And then there are the old favourites I use time and time again - ove the yearssome of them have been worn out and needed to be replaced. You've reminded me that I've not planned any Chinese New Year meals this week, I'll have to make up for it next week. Kung hei fat choi! I love the sound of that cookbook. We love Chinese food in our house. mmm this sounds amazing, as do your recipes from last week. Let us know how Gok's recipes go, I might have to buy it! Your smokies croquettes look delicious! The Gok book is really good. I just need to find a few obscure ingredients so I can have a good go at making more dishes. Thank you for joining in this month's No Waste Food Challenge. 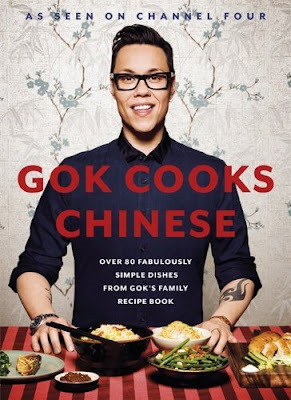 I am very tempted to buy Gok's book and plan to cook the lovely orange and lemon chicken.